DECATUR, Ga. — Diana Richmond Garland, founding dean of Baylor University’s School of Social Work and respected Baptist leader, died September 21 at the age of 65. Diana Garland, photo via Baptist Standard. The Baylor School of Social Work has been a longtime and much-valued partner of the Cooperative Baptist Fellowship and Garland was a great friend to many Cooperative Baptists. Garland, who lived a life rooted in faith, trained generations of Christian social workers to express their personal faith through ministry and championed skills and principles of social work within congregations and faith-based ministries. Through her work she also demonstrated the value of faith-based ministry to the secular social work community. Garland began her tenure at Baylor University in Waco, Texas, as part of the social work faculty in 1997 alongside her husband, David Garland, who joined the George W. Truett Theological Seminary faculty as a professor of New Testament. 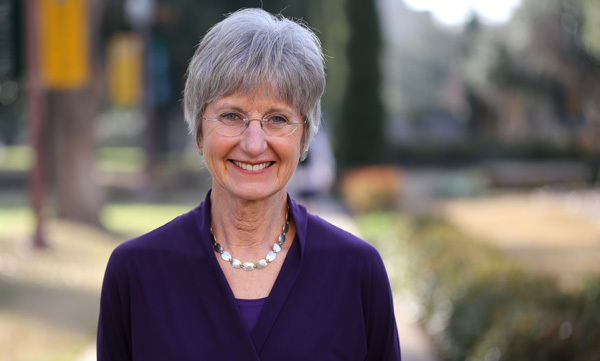 Under Garland’s leadership, Baylor expanded its social work program, and when the university created its School of Social Work in 2005, she became the founding dean. The school met its initial goals under Garland’s leadership in 2013, when it admitted its first Ph.D. cohort. The School of Social Work was officially named in Garland’s honor earlier in 2015, and is now the Diana R. Garland School of Social Work. It was Garland’s commitment to integrating faith and professionalism, deep wisdom and bridge-building in the social work profession that drove the School of Social Work to become one of the top schools in the nation and shaped the lives of so many students and colleagues. Bo Prosser, CBF’s Coordinator of Strategic Partnerships, said Garland impacted countless lives through her teaching, academic research, writing and vision. Paynter reflected on her many years of friendship with Garland in a tribute video at a “Family Dinner” event April 24 in Waco. Garland’s legacy will remain for generations with Baylor University, Cooperative Baptists and countless others whose lives she impacted.